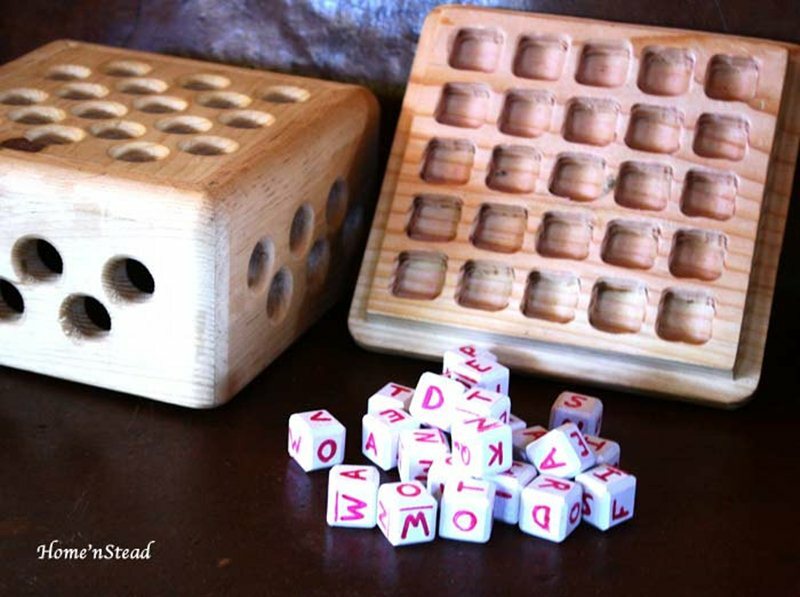 If you’re looking to expand your naturally made, eco-friendly game collection, then this Boggle set is a must-have. This beautifully made game still has all the fun of the classic original Boggle game, but without the plastic (and the chemicals that come along with it). This handcrafted, heavy-duty set comes with 150 hand written letters and is the official size and letter count of the original big boggle game; just stick the top on, shake up the letter cubes and jiggle the tray until they’re all flat. Then your family can have fun by connecting the letters while racing your opponents to find words that read up, down, sideways and beyond. This is a great educational game for kids and if you have a color preference for the letters you can let the shop know and they’ll oblige. If you're looking to expand your naturally made, eco-friendly game collection, then this Boggle set is a must-have. This beautifully made game still has all the fun of the classic original Boggle game, but without the plastic (and the chemicals that come along with it). This handcrafted, heavy-duty set comes with 150 hand written letters and is the official size and letter count of the original big boggle game; just stick the top on, shake up the letter cubes and jiggle the tray until they're all flat. Then your family can have fun by connecting the letters while racing your opponents to find words that read up, down, sideways and beyond. This is a great educational game for kids and if you have a color preference for the letters you can let the shop know and they'll oblige.